TV viewers are regularly wowed by celebrity magicians performing tricks. But one not-so-magical stunt in Poland took a very painful turn, after the magician accidentally impaled the hand of the chat-show host he was demonstrating on. 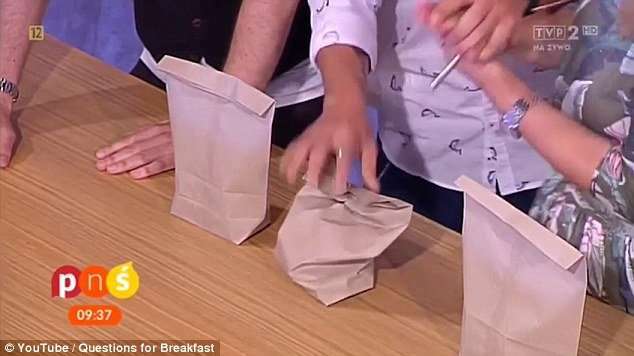 Agonizing footage shows Question For Breakfast host Marzena Rogalska, 46, holding her hand over a paper bag, readying for a stunt that a Poland’s Got Talent semi-finalist has prepared. But when the magician tells Marzena to drop her hand, she screams in agony – as it’s impaled on a huge nail.